A lot of businesses, both online and in real time are relying on the internet to hopefully acquire more buyers that will lead to more sales and income. The process of search engine optimization or SEO is fairly easy, provided that you understand the different approaches and invest in the right resources that will get you good targeted traffic. You have to understand the different factors that will make your web site more visible to the world. SEO or search engine optimization is the process of developing and boosting the quality and volume of traffic to a given website via search engines. Search engines will search for the most relevant web sites as visitors type in the given keywords through organic or algorithmic methods. In most cases, the earlier a web site presents itself in the search results list, the higher number of visitors it will get from the search engine. Some of the most popular search engines include Yahoo and Google. SEO can target various types of search like images, local searches and vertical search engines that are industry-specific. Web presence is provided to the web site as you gain more relevance. SEO is very much related to internet marketing. It considers how search engines function and what are the usual things that visitors on the internet look for. You can optimize the web site by changing or editing the content, associated coding and HTML to boost its relevance to given keywords as well as eliminate barriers to the indexing functions of search engines. SEO can also mean search engine optimizers. The term was coined by a group of consultants who function by optimizing projects for different clients. Some SEO services are performed in-house by various types of employees. The techniques of SEO can be included into the development and design of the web site, since SEO effectiveness needs to change according to the HTML code of a given site. Being search-engine friendly usually means having the right web site design, content management systems, navigation tools, shopping carts, images and videos and menus to help optimize the site for increased search engine exposure. There are different strategies that can be used to optimize visibility in search engines. According to eye tracking studies, searchers will scan search results pages from the top to bottom and left to right, to find relevant results. Positioning at the top or near the top of the rankings leads to increased number of searchers who will most likely visit your web site. Having more search engine referrals do not usually guarantee added sales. SEO is not truly the right strategy for every given web site, since other internet marketing strategies can be more effective, depending on the objectives of the site operator. The success of the internet marketing campaign will ultimately drive organic traffic to your web site, but you also have to incorporate other approaches like paid advertising and affiliates. Using these resources will help increase the people who will most likely be interested in your given products and services. SEO help you generate your ROI or return on investment. Search engines are not paid by web site owners if they get organic search traffic. The algorithms change, so you cannot be sure if you can stay at the top of the rankings. Updating your web site content and boosting the elements that make a good web site will help you get your money back quickly. Comments Off on What is Search Engine Optimization? Do You Know What Are The Advantages of SEO? 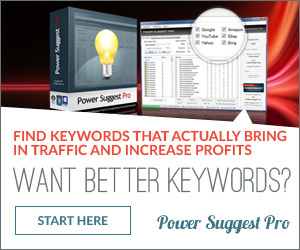 How Do You Make The Best Keyword Selection For SEO? © 2019 Meridian TC. All Rights Reserved.